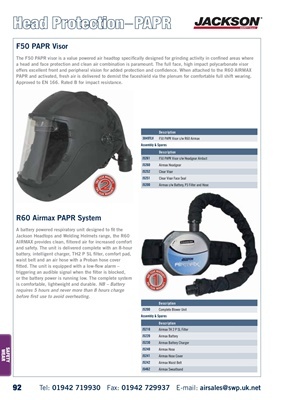 PAPR and activated, fresh air is delivered to demist the faceshield via the plenum for comfortable full shift wearing. Approved to EN 166. Rated B for impact resistance. before first use to avoid overheating.